We amplify the voice of business -- because Your Story Matters. We serve the Fortune 500,000 not just the Fortune 500. We help local business leaders and professional associations get the word out about the important work they’re doing to serve their market, their community, and their profession. This is Your Pro Business, Earned Media Platform . . . none of that fake "pay to play" stuff here ! 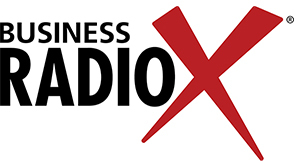 As social entrepreneurs, we founded Business RadioX ® out of our frustration with traditional media’s anti-business bias. We support and celebrate business by sharing positive business stories that traditional media ignores. Some media leans left. Some media leans right. We lean business. Let's Share Your Story ! And if you'd like to learn more about helping others share their story, let's talk . . .